Derek’s prickly personality and resistance to all things Christmas at first make for a chilly holiday season as Izzy poses as his girlfriend in front of his interfering family. The Bookworm and the Beast is by Charlee James. 5 - "It's straight out of a movie." Stars! I love a fairytale retelling. They’re a guilty pleasure and this was pretty much all I could have wished for as Charlee James has created a story filled with Christmas sparkle, romance and feeling. To help her financial situation, Izzy accepts a temporary job as an assistant during the holiday. She was expecting a older gentleman, portly and balding. What she got was a grumpy writer that fired her blood and made her question the way she saw herself. This book is sure to put you in the holiday spirit! It’s also a cute spinoff of Beauty and the Beast. 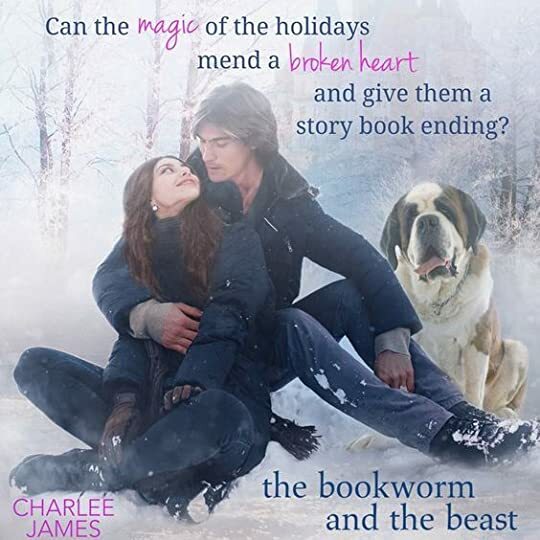 The Bookworm and the Beast by Charlee James is a sweet holiday read and I really enjoyed it. The storyline was entertaining, the characters were likable, engaging and I didn't want to put it down. Derek and Izzy were fun getting to know and I loved how their relationship unfolded. I really liked this book. It is so sweet it will give you a cavity. It is perfect romance for a cold winter day. Izzy and Derek’s romance will warm you right up. I love these types of romance especially around the holidays to fill me with cheer and good mood. What a wonderful written book. It was sweet, heartwarming, captures the true meaning of beauty and Christmas.. Filled with many more emotions. I received an advanced reader’s edition of this book in exchange for an honest review. If you're at all like me, then you LOVE the Hallmark Christmas movies! Even though the plots all follow the same flow (as my husband says), I can't resist the heart-warming love stories and happy endings. A sweet, clean Christmas romance. She rather liked this irritable side that hid away all his softness. It was like unwrapping a present layer by layer and finding a nice surprise hidden underneath. Contemporary Romance Author Charlee James was introduced to a life-long love of reading listening to her parents recite nightly stories to her and her older sister. Inspired by the incredible imaginations of authors like Bill Peet, Charlee could often be found crafting her own tales. As a teenager, she got her hands on a romance novel and was instantly hooked by the genre. After graduating from Johnson & Wales University, her early career as a wedding planner gave her first-hand experience with couples who had gone the distance for love. Always fascinated by family dynamics, Charlee began writing heartwarming novels with happily-ever-afters. Charlee is a New England native who lives with her husband, daughters, two rambunctious dogs, a cat, and numerous reptiles. When she’s not spending time with her tight-knit family, she enjoys curling up with a book, practicing yoga, and collecting Boston Terrier knick-knacks. Copyright © 2017 by Charlee James. All rights reserved, including the right to reproduce, distribute, or transmit in any form or by any means. For information regarding subsidiary rights, please contact the Publisher. Isabel Simon almost swallowed her tongue when she pulled up the long, winding cobblestone drive. The clearing at the end opened to a grand fountain that had seen better days. Behind it loomed the closest thing to a castle she’d ever encountered. It stole her breath as she craned her head to get a full view. Three gothic towers speared up to the sky, lined with dark arched windows that showed nothing of the inside. She got out of her car and exhaled deeply, the rush of breath sending a white puff into the frost-laced air. She inhaled through her nose, and the icy wind danced down her throat. She could do this. She could spend Christmas and the weeks leading up to it on her first assignment as a temporary assistant. It was no wonder the agency had been eager to hire her despite her lack of formal training. Who would want to work over the holidays? Most people were eager to have the time off with their families and special someones. Not that Izzy didn’t have anyone. She had Gram, and wasn’t it enough to have one person who you could count on to care? There were days, though, when she liked to daydream about being swept off her feet by someone who adored her, who maybe had a sense of humor and a kind spirit. Happily-ever-afters certainly existed. The bookworm in her made it hard to think otherwise. But not for her, it seemed. She’d had a chance at love, but it had unfortunately been one-sided. Heat rose to her cheeks, and she shook her head to jiggle away the memory. She glanced back at her rusted old hatchback that had sputtered and coughed into the driveway. The pile of metal reminded her that she needed the money this job would provide. If only the temp agency had given her a heads-up that she’d be arriving at a stone mansion, complete with scowling gargoyles. She tugged at the hem of her red jacket as she made her way to the door. She would have dressed up a bit if she’d been informed of the storybook setting—even if it was a bit creepy with dormant ivy snaking up the tall spires. Izzy raised her left hand and knocked. The sound got lost in the thick wood. She tried again, rapping her knuckles against the unforgiving door. A moment passed, then another. Perhaps the owner had stepped out or had an emergency. She was about to turn and walk back to her car when she heard a low-pitched bark from inside. She tensed as the door creaked open. The house was dark, and the shadow behind the doorframe was tall and masculine. He stepped into the light, and the reason she was standing on the doorstep was zapped from her mind. He was simply the most handsome man she’d ever seen. Slashes of black brows arched over onyx eyes. Her gaze dropped down the hard planes of his face to full lips set into a scowl. Izzy didn’t dare look lower. She could already see the blur of broad shoulders and a hard chest. “Can I help you with something?” His voice was low, gruff, and very annoyed. 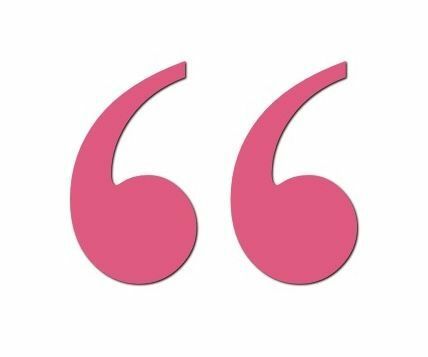 His brows furled together. “I certainly didn’t request a temp.” He set his hands on his hips. Great. What should she do now? She was in the middle of nowhere with an ornery homeowner who looked as if he wanted to boot her off his doorstep. Another bark sounded from inside the house, and a giant head pushed aside the man’s leg to squeeze out. A grizzly bear of a dog lumbered onto the step with her. His tail ticked back and forth as he looked at her with kind, drooping eyes. The dog nudged its nose into her hand, and Izzy crouched to scratch behind his ears. At least someone was friendly here. For a moment, she was lost in slobbery licks and soft fur. “Right.” This one clearly wasn’t much for words. Her cell phone said more when she asked it a question. She certainly wouldn’t have to worry about getting off task with her duties, if he ever let her inside the house. “Atticus, back inside.” The dog slowly plodded back into the house. He didn’t take to the pleasantry. “I didn’t ask for a personal assistant.” He began to close the door, and something made her jump forward. Maybe it was because she desperately needed the money, or maybe she didn’t want to swallow her pride and tell the agency the client hadn’t wanted her—just another thread in the string of rejections she’d received throughout her life, starting with her own mother. Well, not today. “I was booked for two weeks as an assistant to Derek Croft, at Five Shady Glenn. It wouldn’t be fair to cancel now, before the holidays.” The biting wind tousled her hair, and she rubbed her hands together for warmth. “I’m Derek Croft, and it wouldn’t be canceling if I didn’t request anyone in the first place,” he grumbled, and jerked down the cuff of his shirt. She bit her bottom lip. Convincing him would be like playing a game of tug-of-war against an entire football team. “Perhaps someone booked it for you as a gift?” Izzy must have hit the mark because his stony face flinched ever so slightly. For a moment, she thought he was going to slam the door, but he stepped back, picked up his cell phone, and punched in a number. Izzy leaned over to scratch behind Atticus’s ears and tried not to eavesdrop. He shook his head and clicked off the line. The knot in Izzy’s stomach untangled some. At least she was where she was supposed to be, regardless of the welcome she’d received. “It, ah, looks like my well-intentioned house staff thought this would be a good Christmas gift. I have nothing for you to do here.” He stood with one hand in his pocket and the other on the doorknob. Izzy’s shoulders relaxed. He couldn’t turn her away now. She took advantage of the statement and stepped inside the house. “I can help get the house ready for the holidays, and I can find my way around the kitchen. You won’t have to lift a finger.” Izzy held her breath. His forehead creased as he studied her. “Well, you’re here now. I’ll show you around, but then I have to get back to work.” He swung the front door shut, and a deafening thud echoed off the high ceilings. “Children’s author.” He slid open a large door to reveal a sitting area with buttery leather furniture positioned around a fireplace. The homeowner turned and narrowed his eyes. “Aren’t you an assistant?” His tone dripped with so much distrust that Izzy bristled. “Just part-time. You know, for some extra cash to float me through the holidays.” Her cheeks instantly heated. Of course, he didn’t know. He lived in a castle surrounded by luxury. Izzy leaned in to get a closer look, then stepped back when his scent, something fresh and entirely male, tickled her nose. Why couldn’t the client have been a sweet old man, or bald and frumpy? Instead, she had to trail a dark-featured version of Thor, who had the disposition of a porcupine, around the endless mansion while trying to avert her eyes from his backside. He stopped abruptly, and Izzy rammed into him like a clumsy ape. “Sorry,” she mumbled. Her cheeks and the tips of her ears were probably the color of a new fire engine. Izzy had a job to do, and she had no business thinking about the rock-solid body she’d just nearly barreled over. Guys like him didn’t go for girls like her. Her mother had been blessed with rich blond hair, crystal-blue eyes, and miles of confidence, while Izzy had waves of mousy-brown hair that never stayed in place, and ordinary brown eyes. A pain ricocheted through her chest. If she’d favored her mom, been prettier, maybe her attempt at finding love in college with Brett might have gone differently. “This is the kitchen. My staff left the fridge stocked, but if you find something missing, you can call the grocery store to deliver it.” He stopped just inside the room with his hands on his hips. The kitchen was a dream, with a six-burner stove, a double oven, and a fridge that could hold enough food for a banquet. The stainless-steel appliances were flanked by rows of deep cherry-colored cabinets and granite countertops that were swirled with honey and chocolate colors. Every surface shone, including the center island. The children’s book business must be good, or he came from money. Either way, Izzy was far more comfortable nestled on the couch in her one-bedroom apartment with a good book and a cup of tea than she was here in such…opulence. Derek walked back to the main hallway and strode up the stairs, as Izzy and the dog trailed behind him. Atticus would be her buddy for the week. She longed for a dog or cat, but her apartment didn’t allow it. Her gram had been allergic, so she hadn’t been able to have one growing up, either. She just admired them from afar and envied the people who were able to keep them. Once upstairs, Derek walked her down a long hallway. “This is the west wing,” he said. It was chillier here than on the first floor, and Izzy rubbed a hand up and down her arm. “What’s in there?” She couldn’t help herself from asking, and his brows instantly knit together. “If I wanted you to know, it wouldn’t be off-limits.” He started moving down the hall, and Izzy had to power walk like Jillian Michaels to keep up. This was going to be a very long two weeks. “This will be your room. There are clean sheets in the closet. I have to get back to work. I’m on a deadline, and I’ve already been interrupted.” He checked his watch and huffed. “Should I make dinner? What time do you typically eat?” she asked. Some instructions as to her duties would have been nice, but they were both flying by the seats of their pants. “Seven.” Mr. Personality disappeared, and Izzy was left staring at a large four-poster bed in a room that was bigger than her entire apartment. A sitting area with a chaise lounge sat by the window and faced another fireplace. The dog followed her into the room and brushed up against her side. “Home, sweet home, boy.” She ran a hand down his head. Funny how she was more at ease conversing with the dog than his owner. The adjoining room had a gorgeous claw-foot tub that she’d love to sink right into, yet another fireplace, and a vanity. What was it like to have this kind of wealth? Growing up, Gram had made sure Izzy had everything she needed, but money had always been tight. She had worked hard, well past the age she should’ve retired, to provide for Izzy, who was born to a teenage mom with more important things to do than to raise a child. It was one of the reasons Izzy was compelled to help Gram pay for her retirement at Silver Acres. It had been three years since she’d helped Gram move into her apartment there, and for three years, she’d hobbled along financially. Gram’s face had just lit up when they went on a tour of the sprawling community with its gardens and pergolas. The nursing staff onsite put Izzy at ease, too, and the facility provided meals. Gram was a lot of beautiful things, but a cook was not one of them. When they’d reviewed the costs with an agent, Izzy had known Gram could never afford it, so she’d given her a leg up and insisted on splitting the bill each month. Izzy was thrilled that Gram was content and happy, but she’d grossly underestimated how much it would stretch her finances to foot half the rent. She was going to have a coronary if she kept eating cheap, sodium-laden noodles every night. At least here she’d be in charge of what went on the dinner table. It was a win-win that Silver Acres was only a half-hour drive from the castle where she was to reside for the holidays. Izzy was taking her vacation days off at Christmas this year, so her coworker could enjoy an extended honeymoon in the spring. She could earn some extra money and still see Gram. Derek would surely give her a few hours off, right? Her phone beeped, and she glanced down. Bingo tonight with Mr. Johnson. Wish this old bird some luck. Izzy’s grin stretched ear to ear. Gram had learned to text, had a schoolgirl crush on her neighbor, Mr. Johnson, and was so happy it made Izzy’s heart sprout tiny wings. Gram would be staying at Silver Acres, even if Izzy had to sell a kidney on the black market to keep her there. She checked the time on her phone and unzipped her duffle bag. She would unpack before trying to figure out what to prepare for dinner. How did this even work? Was she supposed to sit and eat with him, or lay out his meal and disappear into the background? Her stomach grumbled at the thought of food, and the dog shot her a concerned glance. She got turned around in the maze of the house more than a few times before simply following Atticus, who led her straight to the kitchen. After rooting through some cabinets, she unearthed a jar of milk bones. He sat patiently as she twisted off the top and then took them gingerly from her hand. Now for the humans. She opened the fridge and looked around for a moment, before deciding on chicken and broccoli in Alfredo sauce. She lined up the necessary ingredients and put a pot of water on the stove to boil. In the pantry, she found a box of fettuccine. She wanted to do a good job, not only because she was hired to do so, but also because a trickle of guilt had curled into her stomach when Derek’s eyes had told her loud and clear she was unwanted here. At times, she liked to be alone, too. What if he’d been looking forward to this week free of staff, and she’d stomped in and stripped away his privacy? Maybe after having some time to brood, he’d be a tad more pleasant. Either way, she was in too deep at this point. There was no turning back.